One of the things that always got me when I worked for the IRS (1980 – 1985) was that any scandal caused every single employee to be painted with a broad brush, even if those employees had nothing to do with it. That hasn’t changed and while most of my colleagues from my IRS days are gone, some remain. I spent far more time on the other side of the table. And in that time, I can count on one hand the number of IRS employees that I had trouble with. Yes, there are some employees who are complete jerks, who abuse their power. But my experience tells me that those employees are few and far between. 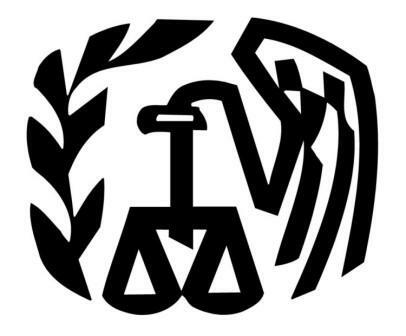 I think I’ve dealt, over the years, with nearly every aspect of the IRS, from exam to collections, from estates and trusts to exempt organizations. By and large, they are hardworking, dedicated folks. But this targeting thing really bothers me. Because the report points out the poor training and lack of oversight.That is not the IRS that I have experienced all these years. Something is really, really wrong that allowed this to happen – and to go on so long. And to learn that there is a mismatch between Internal Revenue Code § 501(c)(4), which is the law as passed by Congress and uses the term “exclusively,” and Regulation § 1.501(c)(4)-1, which is the official interpretation of the law and which uses the term “primarily,” is just beyond belief. This should have been fixed long ago. I’m sure there will be more stuff coming out about this – a few heads rolling at the top doesn’t begin to solve the problem that allowed the targeting to occur. I can only hope, though, that folks take into consideration all the other IRS employees who are not a part of this mess. My compliments, Vivian, on giving your personal, real-life experiences in dealing with the IRS. The more such experiences we have–and tell about them–the more understanding of others is enhanced. This applies to differences of race, gender, religious, and sexual preferences–you name it: when we know personally someone from that “other” group, we tend to be more tolerant and accepting of others, whoever they are. Those of us who have worked in multi-racial situations (thankfully, we are more numerous than ever before), for example, are appalled when minority people are denied access to anything, be it voting places, discussion groups, or community responsibilities. If access is based on “who you know,” then something is wrong. Thus making people be “others,” and different from us in basic human attributes and needs, keeps our American society from becoming all that it can be. President Obama seems to know how these divisions hurt us, and his current messages to college graduates about their responsibilities to do their best and ignore harmful stereotypes are important to his campus audiences and to all citizens and groups. Moving forward, may we find, support and elect more leaders who do not dwell on past attitudes, but rather propose new ways of working together in and for the country we all love.